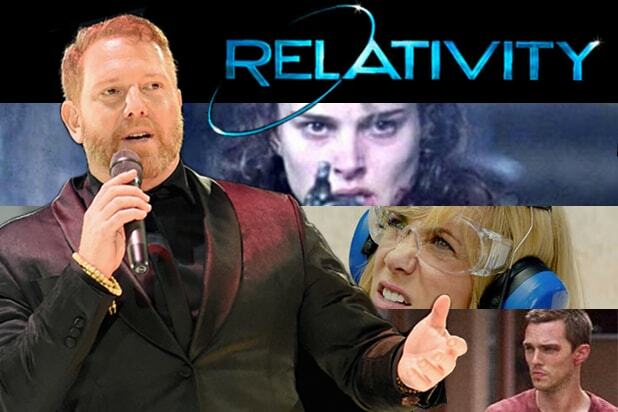 A defiant Ryan Kavanaugh has an answer to those who think that Relativity Media’s bankruptcy is the end of the road for him. “I will win,” he stated simply to TheWrap on Tuesday. The mogul is said to be still in a state of shock after the sudden bankruptcy of his independent movie and television studio last week. But he responded via email to the question of what his options were with a statement that suggests that he is still very much in the game. Now freed of the burden of his lenders because of the protection of Chapter 11, Kavanaugh could try to raise money to buy back his company. His statement suggests that this is what he may well try to do. But others are already on the move to bid for the assets. An individual close to the post-bankruptcy developments said that Ron Burkle’s Yucaipa and Colbeck Capital planned to tender a bid for the television division, by far the most profitable part of the company. A spokesman for Relativity had no immediate comment. In the latest sign of its diminished post-bankruptcy status, Relativity Media has abandoned plans to release one of the remaining films on its slate in the immediate future, the Halle Berry thriller “Kidnap,” a knowledgeable insider told TheWrap on Tuesday. Since the studio only has access to $9.5 million from the bankruptcy court, there are not sufficient funds to support the release of “Kidnap” and “Masterminds,” two releases currently on the studio’s slate, the insider said. “Relativity is fully committed to releasing Masterminds and Kidnap on their scheduled dates,” said a studio spokesman in a statement to TheWrap. The decision to hold off on releasing “Kidnap” is part of an ongoing review of Relativity Studios’ completed film slate as Kavanaugh and his team scramble to continue operating in the face of a looming asset auction set by a New York bankruptcy judge to pay off the company’s $320 million in debt. “Masterminds,” a heist comedy starring Kristen Wiig and Zach Galafianakis is seen as a more practical film to keep because of the film’s star power and the fact that marketing was already underway with trailers in theaters, an individual familiar Relativity’s ongoing strategy told TheWrap. Another project, which has not yet begun filming, “Out of This World,” a teen romance movie starring Asa Butterfield as a young man raised on Mars, has moved to STX Entertainment. 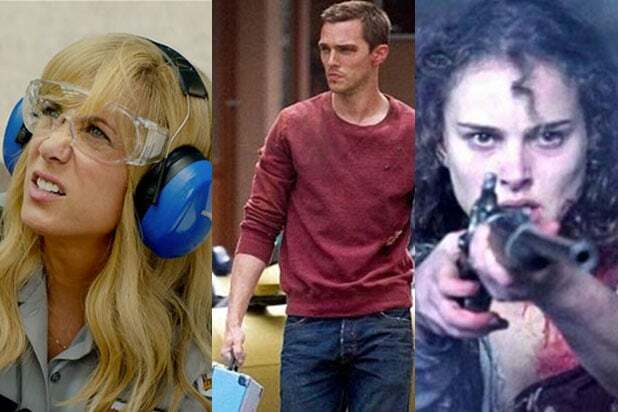 And some high-profile films currently in postproduction or completed remain in play, including the Kate Beckinsale drama “The Disappointments Room,” the Colin Farrell thriller “Solace” and “Collide,” the action thriller formerly known as “Autobahn” starring Felicity Jones and Nicholas Hoult. Those may be among the strongest assets when Relativity’s sale-at-auction takes place, most likely this fall. One of the lead bidders is expected to be RM Bidder LLC, a shell corporation that includes the company’s senior lenders led by Anchorage Capital with other undisclosed companies. But nothing will be simple in this scenario since U.S. Bankruptcy Court Judge Michael Wiles has the authority of override contracts — including content rights and distribution deals — as he settles upon a recovery plan for the company. Given the unsecured debt of media and ad companies like Carat USA — which is owed more than $34 million — Relativity’s ability to market and distribute any film at all is in question. To do that properly, it will take more than the $9.5 million that Wiles awarded Relativity last week in its first bankruptcy hearing. The company had been banking on $45 million in debtor-in-possession financing to maintain operations as a viable film and TV distributor. That may still come at a hearing on Friday, when the judge is expected to rule on the matter again. Correction: An earlier version of this story erroneously said the rights to “Kidnap” would revert to Rumble Entertainment, Well Go USA and 606 Films. TheWrap regrets the error.